Sociopaths are usually said to be charismatic. Because the abuser in this type of situation is “charismatic” and well-loved (by strangers), they are usually dynamic speakers and are some of the greatest storytellers (Liars). They will present themselves who do not really know them, how they are a person who loves to help people. They are seeking to be seen as a “trustworthy” person. This is how they win others over, and will usually manipulate them into doing their dirty work. They also put this elaborate and ridiculous show on to gain the trust of others. So if any of their victims speaks the truth about them, then the victim will not believed. And the sociopath will go into to portray themselves as if they are the victim and they will go on to vilify the real victim. Sociopaths give charisma a bad name. I don't believe we should associate charisma with the sociopath. 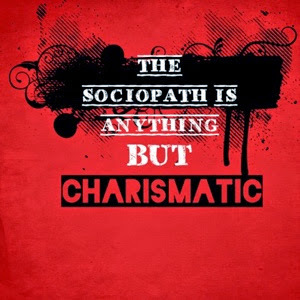 The charisma that the sociopath uses is only a ploy to manipulate others in order to get what they want from them, it is far from real or genuine. Nothing the sociopath does is real or genuine. Once the sociopath has their victim hooked, the charismatic act they once displayed disappears and the abuse begins. The sociopath shows the rest of the world what they want them to see. Only the victim(s) of the sociopath sees them for the ruthless, heartless person they are. The sociopaths family also endures much of their wrath as well. They torment siblings, and manipulate their parents into giving in to them. The more elderly the parent becomes, the more the sociopath will try to be the "caretaker." Not because they care for the well being of their elderly parent, but in order to gain control of their money, and belongings. They will only appear to others as if they are taking care of their elderly parent, but in reality they are not taking care of anyone but themselves. Instead of getting groceries or medical care for them, they use the money for themselves. They will tell others how much time and money they have been spending on their elderly mother or father.. It's a very sad way for an elderly person to spend their final years. The sociopath simply doesn't care though. This is not what I consider to be charismatic. It is cruel and remorseless. That is what the sociopath really is though. Cruel and remorseless. 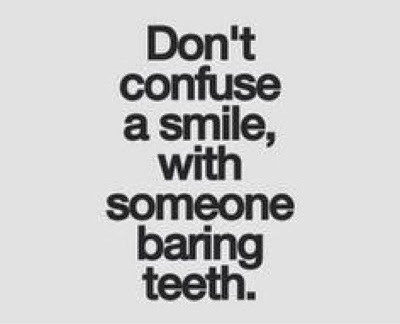 You cannot make them care. You cannot make them feel empathy, they will never be sorry for the pain they have caused. In fact the sociopath will try to blame the victim for any emotional trauma they have caused. They accuse their victim of provoking them to act in such a way, or to have said such things that have caused the victim pain.